Do You Need to Downsize Your Current Home? Big homes can be a lot of work, especially if you have a large yard. The upkeep alone can wear a person out no matter what age you are. If your home is older, you may notice many parts of the properties structure and foundation needed to be replaced or repaired. The need to downsize can be a very smart solution both financially and for your own peace of mind. Your life is changing constantly. 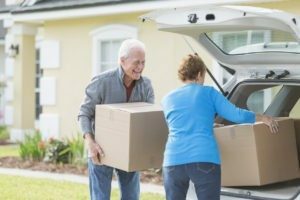 The option to downsize may be in your best interest if situations arise such as needing to move closer to grandchildren, your kids moved out of the home or simply to relieve a financial burden. Sometimes downsizing is necessary to accomplish a primary goal, whether it be financial, family or career related. One of the most common reasons to downsize is because of divorce. Once the marital home is sold, many times the spouses will move into a smaller townhouse or condominium. Selling a home while going through a divorce bring up tough decisions, especially within real estate. Whatever the reason or situation you are facing, it may be time to downsize into a home that meets your current or projected lifestyle. We buy homes on a weekly basis from people who need to downsize. Heroic Homebuyers will buy your current home, in any condition, so you can relocate on your schedule and your budget. You can sell your home fast and as-is. We will create a custom solution to fit your needs and time frame. Give us a call at 561-349-4192. We buy hundreds of homes in situations just like yours. Read our Reviews!